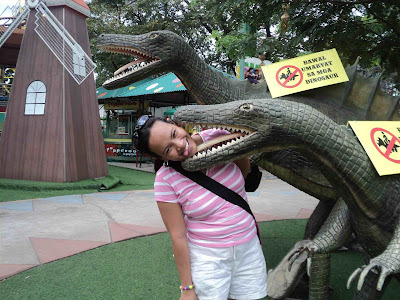 Mellow Yellow Monday: A Dinosaur Bit Me! | To Be, To Be. Tutubi. There were mellow yellow signs saying that I should not climb on the dinosaurs back so I just let him bit me! Taken at QC Memorial Circle last January 2. Happy Mellow Yellow Monday everyone!